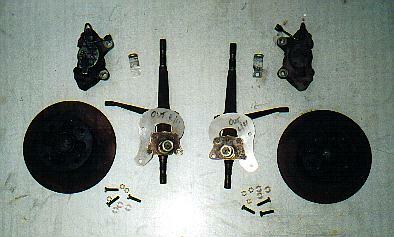 Leyland / Morris Marina 10.5"
kit, using second-hand discs and calipers supplied by a customer. circuit master kit and VH44 booster and mounting kit. have passed engineering tests and have proved safe for use on Victorian roads. VSI 8 and therefore does NOT require an engineer's certificate.